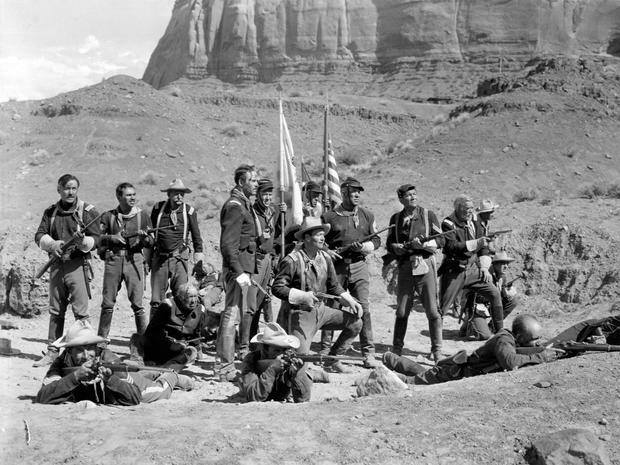 John Ford’s western, an extremely loose re-imagining of the Custer massacre, surprises in numerous ways. The film has a heady sense of humor – the hard-boozing Irish of The Quiet Man are present, but not quite so cartoonishly so. It again reveals that John Wayne was quite underrated as a dramatic actor. But it is most unique in its melding of patriotic lore and bitter cynicism, ultimately concluding that the fraudulent propagation of patriotic heroism is at a minimum a necessary evil and perhaps even a critical component of the national ethos. What matters, ultimately, is the myth. It is also, of course, beautiful in its use of Monument Valley.